Want to puppeteer a 3D animated emoji on an older device? Now you can! Using your face as the controller, you can make a 3D emoji mimic anything you do! 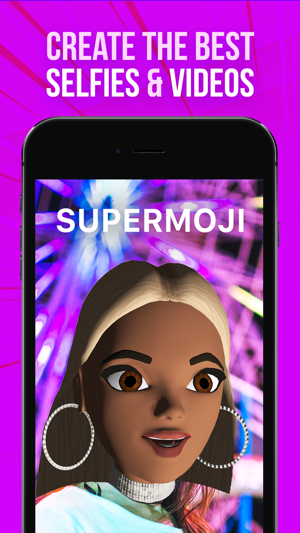 Express yourself with brand new Supermojis every week! These are live emoji face filters and masks, better now as animated emojis. 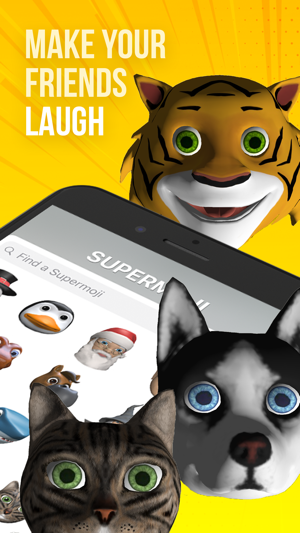 Make sure to check back often for new Supermojis. In order to use the app, make sure you have an Internet connection, select a 3D Emoji, press and hold the record button. Videos will automatically replay after they are rendered. You can then share the video with others or privately. Legal Notice: ALL CONTENT and ARTWORK is ORIGINAL - EXCEPT WHERE EXPRESSLEY STATED, DREAM.AI IMPLIES NO AFFILIATION or ENDORSEMENT by ANY BRAND - NO CELEBRITY NAMES or LIKENESS - CONTENT ARTISTIC IMPRESSIONS FOR THE PURPOSE OF PARODY - VOICES ARE ONLY IMPRESSIONS - NOT A SOUNDBOARD - this app is meant to be used as a parody and to create parody. Developer is not claiming an affiliation with any celebrity who is being parodied. All content within app is original, and/or user-generated and there are no Celebrity or Brand names; only poor impressions. You can request a new 3d Emoji! 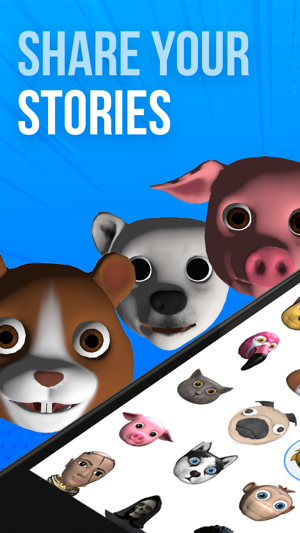 Upload your own 3D models on our website or simply ask us in your comments (we read them), we will focus on the most requested 3d Emoji so get your friends to request Voice Changer Voices too! Make your app have features like the old one where u can white out the background and just have the SUPERMOJI, also make them look a little more cartoonish and like apples. It would be cool to see you add new ones like animals instead of weird human-like ones. You could also do tongue detection. That would be cool to see because then it would make the app seem more flawless. Last but not least, please make everything a bit smoother, I understand everyone is programming and trying their best, but it would be cool to see in the next update to see everything just a bit more smoother. Hope you guys see this! I can’t wait to see if you guys add some of my features that I just talked to you about! Thanks!